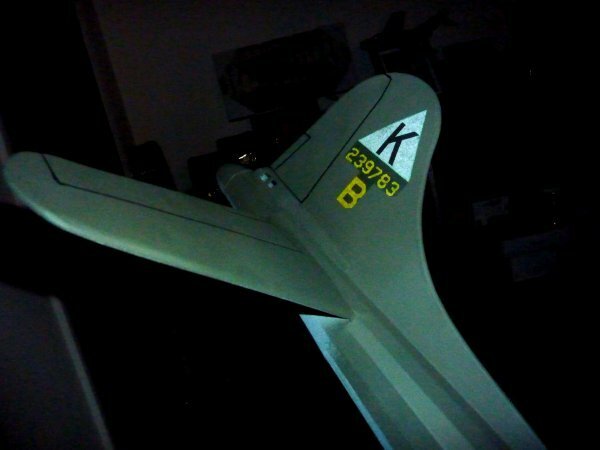 Stick and Tissue Forum - Boeing B-17G-1-VE "Blues in the Night"
Stick and Tissue Forum › How to build model airplanes › Current Rubber Powered Builds by S&T members › Boeing B-17G-1-VE "Blues in the Night"
If you use a colored felt pen, you can 'paint' just the edges of the 'decals' and that will make them blend into the tissue much better. I agree, Ian. I'll do that as a final clean up step. Both of your builds are progressing wonderfully. One of the things about using 'paper' decals is the edges of the cuts. They are white and it makes them stand out! If you use a colored felt pen, you can 'paint' just the edges of the 'decals' and that will make them blend into the tissue much better. I've been experimenting with tissue decals with the Stinson build. It's hard to get the decal colors (especially white) to "pop" when applying over the dark blue color. I tried some of the tips that have been suggested and thought the result wasn't bold enough, decals still too dark. So I painted some white tissue with white acrylic paint, once with a Krylon rattle can and the other with a brushed on cheapo white acrylic from Wal-Mart (Apple Barrel matte white). I used matte instead of gloss because the store was out of gloss. Then I printed the decal and used a glue stick to stick it to the white painted tissue. The result was pretty good and the decal didn't seem too 'thick'. Glued it to the model using a glue stick. In the pics, the wing has been sprayed with Aleens gloss (similar to Krylons) but the fuselage has not. The gloss seems to bring out a little more contrast. 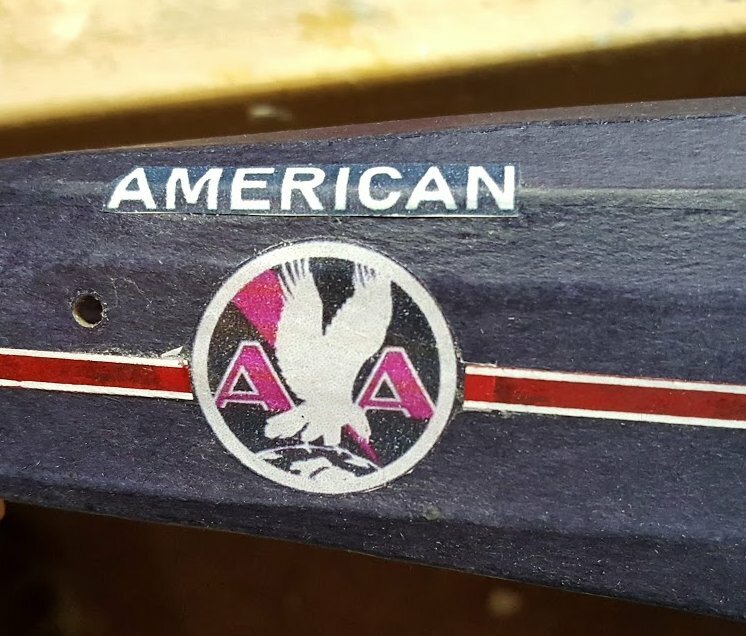 I used white tissue for the decals,using the dark blue and red tissue didn't allow the white to stand out. 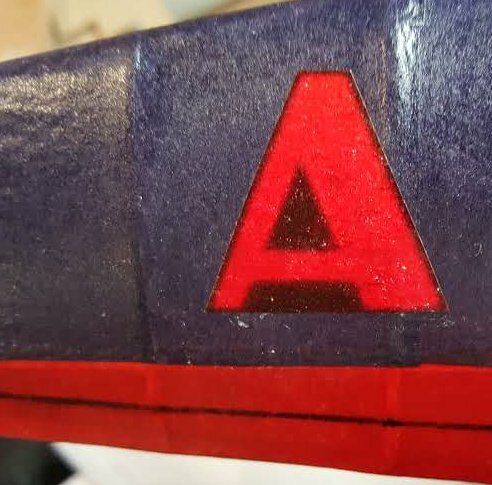 For the red striping, first I sprayed some red tissue with Aleens gloss and then used a white ink pen (from Hobby Lobby) to add the white stripes. Cut the striping out and stuck it on with a glue stick. Still a work in progress!! Ah Haaaa...taking on an identiy! Ok Mark...I get it...increased drag of the painted wing would have been noticeable to pilots and flight engineer...countered by pitch and throttle adjustments on the two painted-wing engines. Yeh...an added mission concern to be dealt with! In my case...the fluctuating fuel measurments were such a concern that a West Point instructor Col. ordered us to have the tanks pressurized as a check. He was convinced they were leaking! Soooo...we pressurized the tanks...pressure held...no leaks. Col. was finally convinced that it was indeed fluctuating temperatures. Tale of the tanks....reminds me of a story of my own...when is a tank a tank.... Was functioning as an artillery FO...guy kept telling me there were tanks out there...insisting on it ("Can't you see them?)! Finally...I realized he meant tanks...not AFVs. What's in a word? If you miss-hear, never say "repeat" when directing fire...it's "say again all after." Neal, has to do with a bare metal wing compared to a painted wing, non gloss paint (drag) and weight. I remember he said it was very concerning, painted side used more fuel. This has been a great build with all the history included. Thanks for a great story to make the build come alive! Love the montage also!!! Thanks for all the interesting comments, Friends! Speaking of nose art....asked Wayne what was on the nose of Blues...along those lines...his response was "nothing." 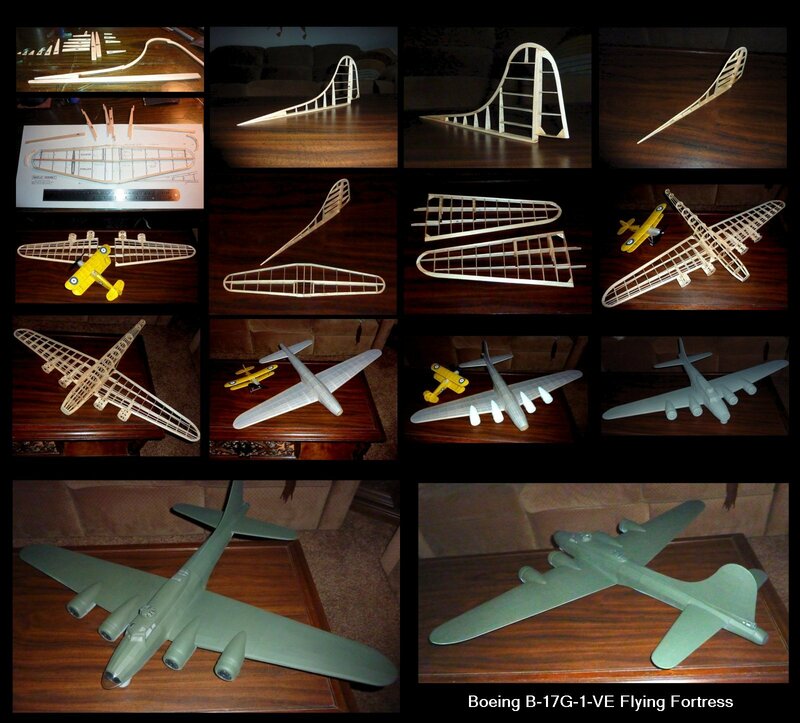 But then...I asked Wayne what model of B-17 Blues was...and he replied, "an F model." I think the long and the short of all that is that a waist gunner wasn't concerning himself too much with "details" at the aircraft nose. For Wayne...the waist postion was exactly the same in Blues as it was for an "F"...where he'd probably done most of his flying. 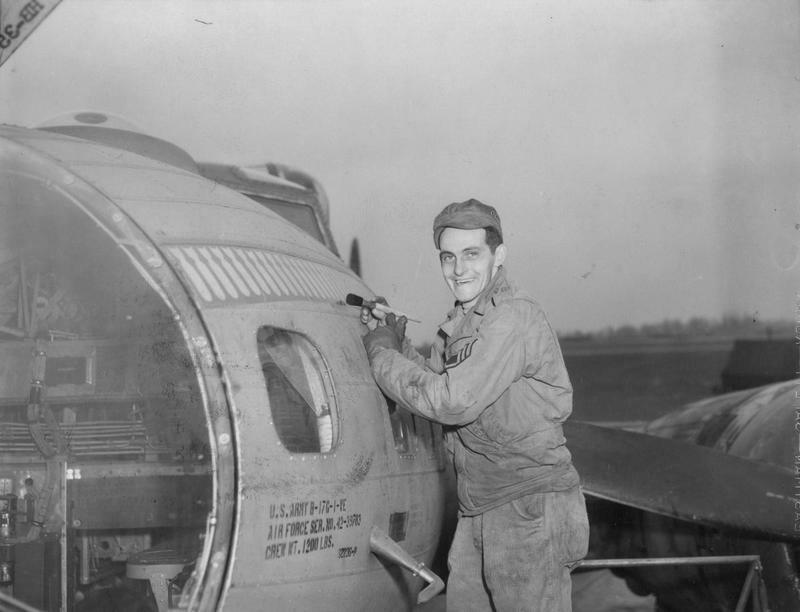 As for "up front," again, his concern was with the waist section of the aircraft. Besides...it was a long time ago. We just let it stand...was his story after all...he sure had the rest of the tale "spot on." 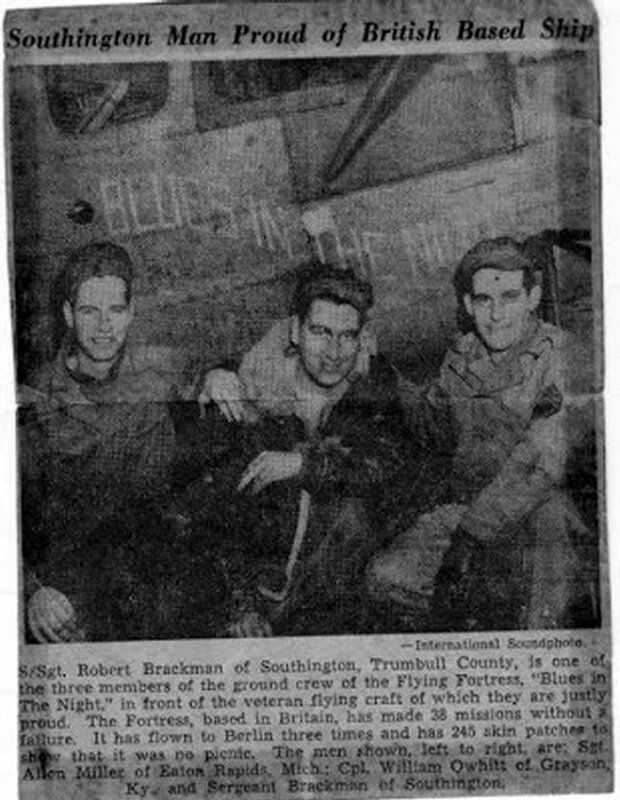 The closest thing to nose art can be seen in that newspaper clipping of SSgt Brockman and his ground crew boys...a wave-like musical representation of the ship's name. Literature says nose art was generally NOT repeated on both sides of the aircraft.... ...artist's inability to "do it again." Mark...do you think that fuel evaporation might have had something to do with apparent rate of consumption and that the painted wing and bare-metal wing had different evaporation rates? 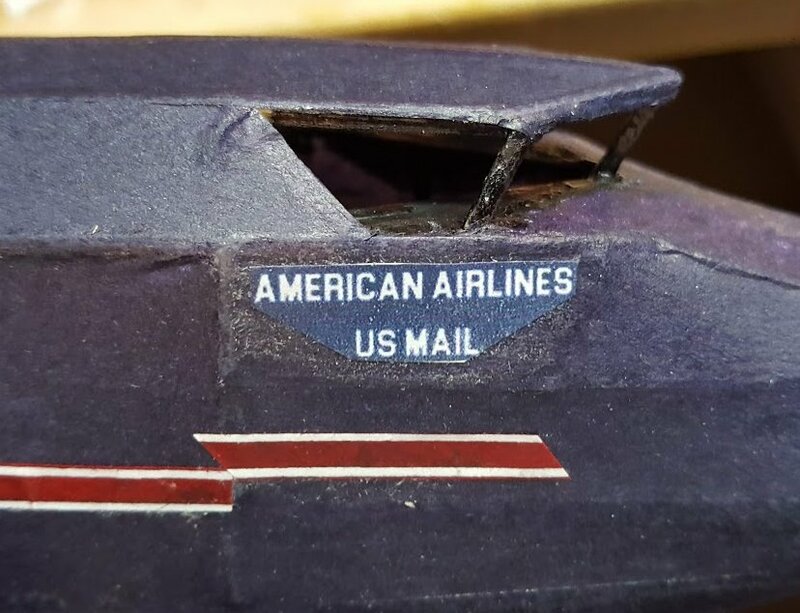 I've seen fuel measurement literally change with the time of the day...temperature, overcast, sunny.... Wonder if it could be a similar situation for those wing tanks...but I don't know why the bare-metal wing would evaporate slower than the painted? The interior of one wing was cooler than the other? 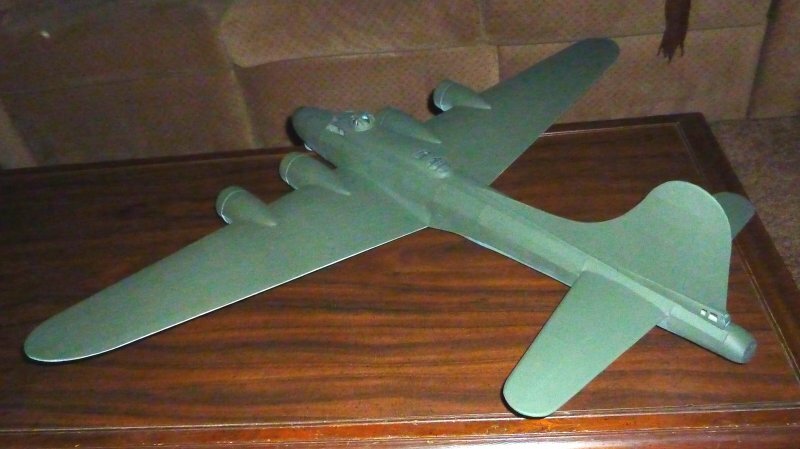 I guess my model's color is what it is now...although I still prefer that nice old weathered Army brown. Thanks Alf! You'all have probably heard the tune "Blues in the Night" at sometime during your life...maybe just didn't know the name. Pretty catchy tune. Got the navigator's dome and ball turret installed last night. The question of color is a slippery one. Does the model actually look like what we see on our monitors? Does Neal's camera accurately capture the color? One has to wonder. Not to worry! It's still a beautiful model! Another great build and the photo montage is also a terrific idea. Agree with Mark, looking forward to the nose art, certainly a lot to choose from. Your paint question reminded me what a Vet told me. He had one wing on his 17 replaced with an unpainted one. What got his attention was the fuel consumption difference. The painted side was considerably more. Looking forward to your nose art. Here's kind of a synopsis of building events to date...not long to go on this project now. I placed my recently constructed Hawker Fury in some of the photos in order to give a size perspective...about the same scale. Fury had a 30'ws (13") and Fortress had a 103'ws (39"). Close enough. I debated with myself concerning that paint...O.D. vs what some illustrators prefer...more of a light brown (dirt)...whatever. To my knowledge...ac were delivered with O.D. painted finish...that brown is the product of oxidation...lots of weathering. Actually...I like that brown variation...but O.D. was a lot easier. My apologies to those of you who prefer the brown. The Beast is taking on some color.... Only two more pieces of plastic to install...astral dome and ball turret...then it's all finish details. 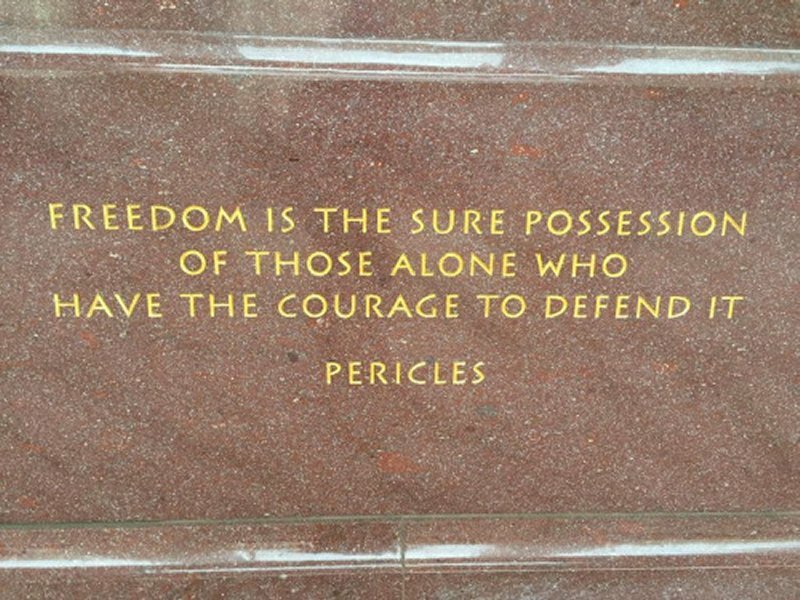 Hi Toulouse...I am truly touched by your post...your Uncle's service is much appreciated by those of us who understand the sacrifices made...and his loss will always be felt by those who knew him, loved him, and cherished his friendship. Thanks Toulouse for your support. Love the history. 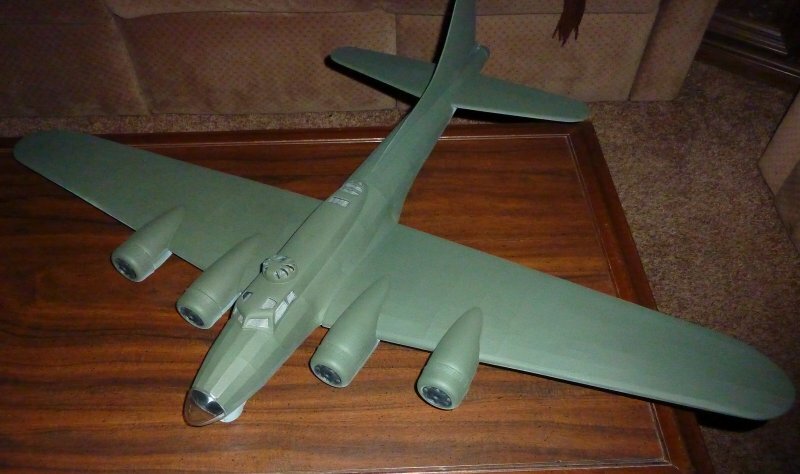 I also like to draw and paint aircraft but nowhere near as good as your B17 painting. 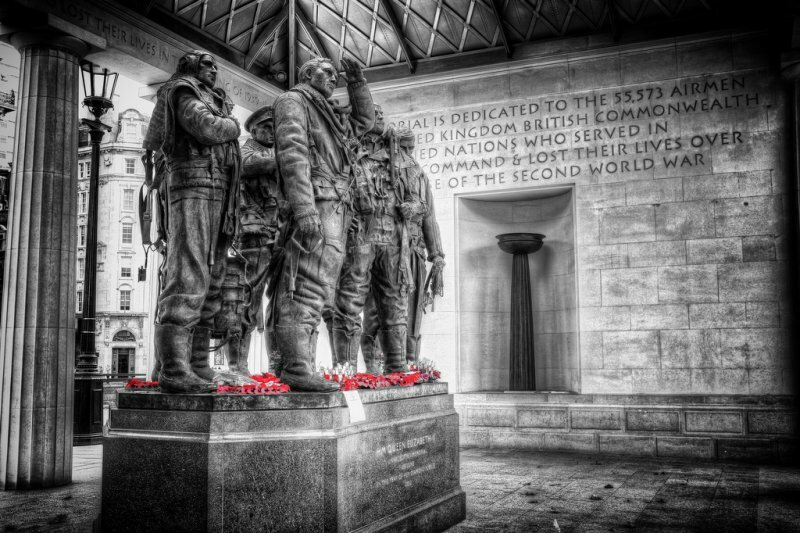 In 1943 my uncle was a tail gunner in Lancasters, often KOU of 115 Squadron RAF (Motto "despite the elements"). Based at Little Snoring shown on alfakilo WW2 map. 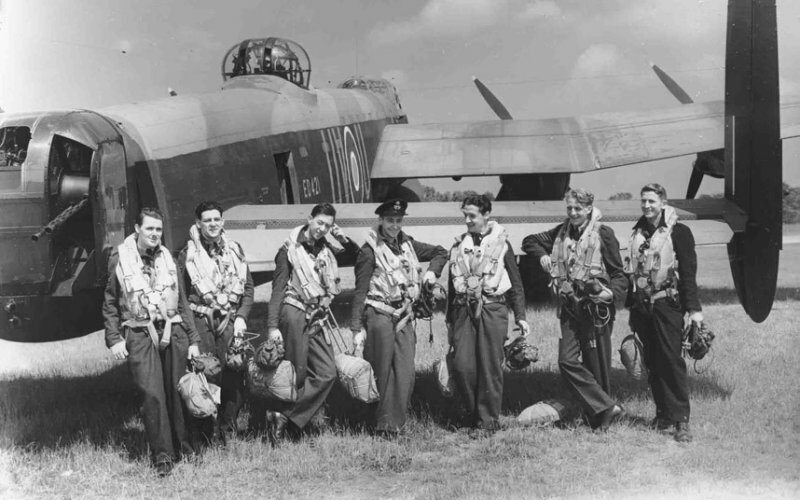 Completed 14 missions over Germany and Italy in Merlin engined Lancasters , Hamburg, Berlin, Milan shuttle to Libya etc. Killed, aged 20, in a test flight of a new Lancaster Mark II (no squadron markings on it yet) that crashed at Kings Lynn, also on the map. Buried in WW2 cemetary at Cambridge.